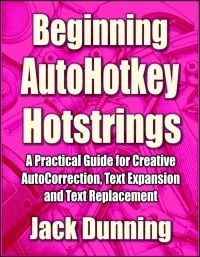 This "Beginner's Guide to Using Regular Expressions in AutoHotkey" is not a beginning level AutoHotkey book, but an introduction to using Regular Expressions in AutoHotkey (or most other programming languages). 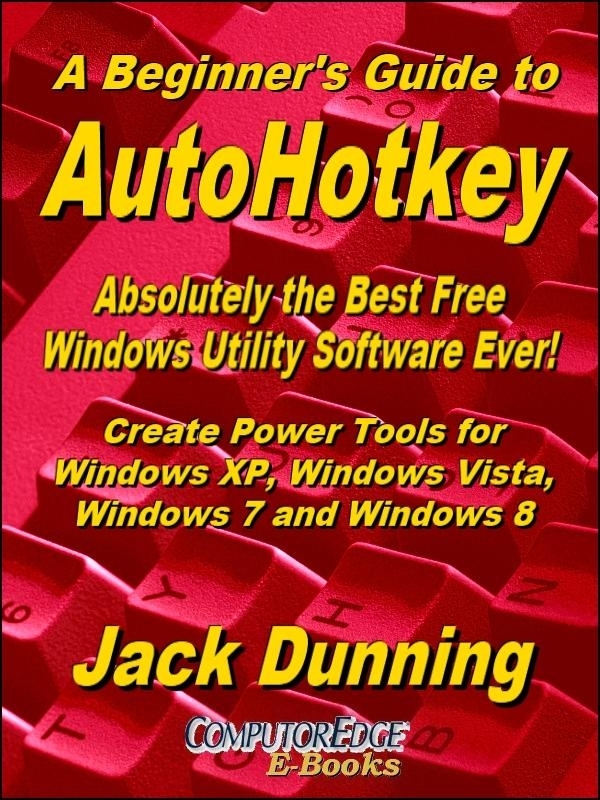 To get the most from this book you should already have a basic understanding of AutoHotkey (or another programming language). 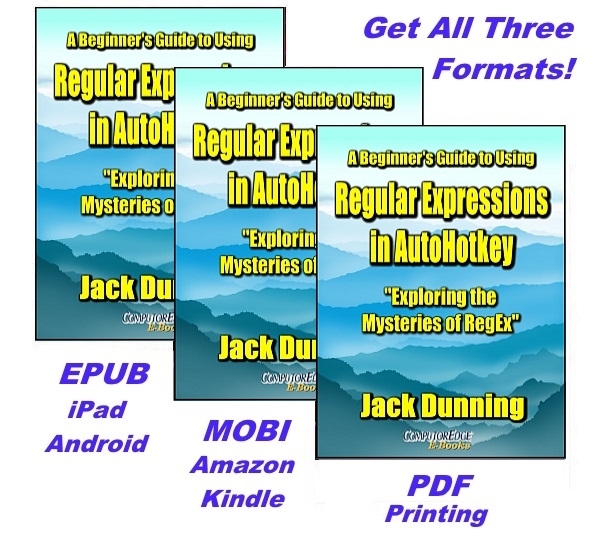 Regular Expressions (RegEx) are a powerful way to search and alter documents without the limitations of most of the standard matching functions. 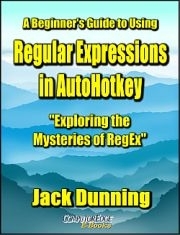 At first, the use of RegEx can be confusing and mysterious. 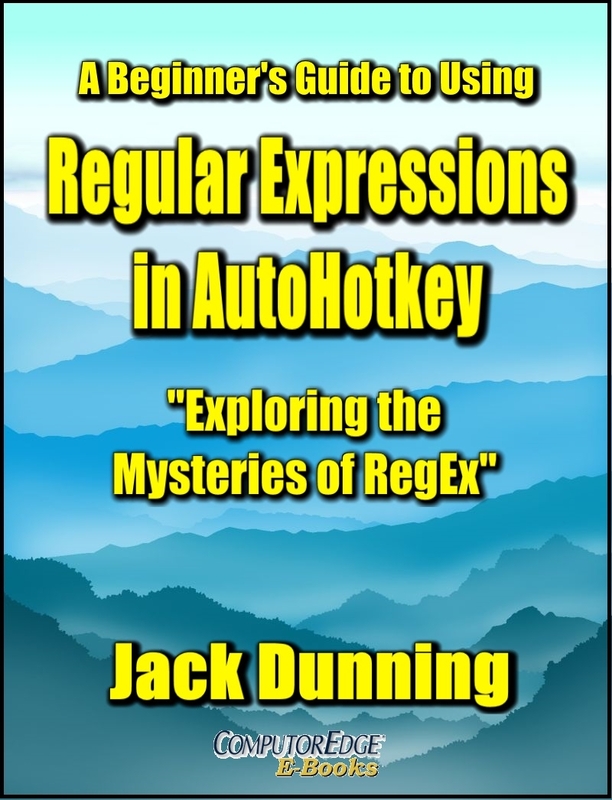 This book clears up the confusion with easy analogies for understanding how RegEx works and examples of practical AutoHotkey applications. 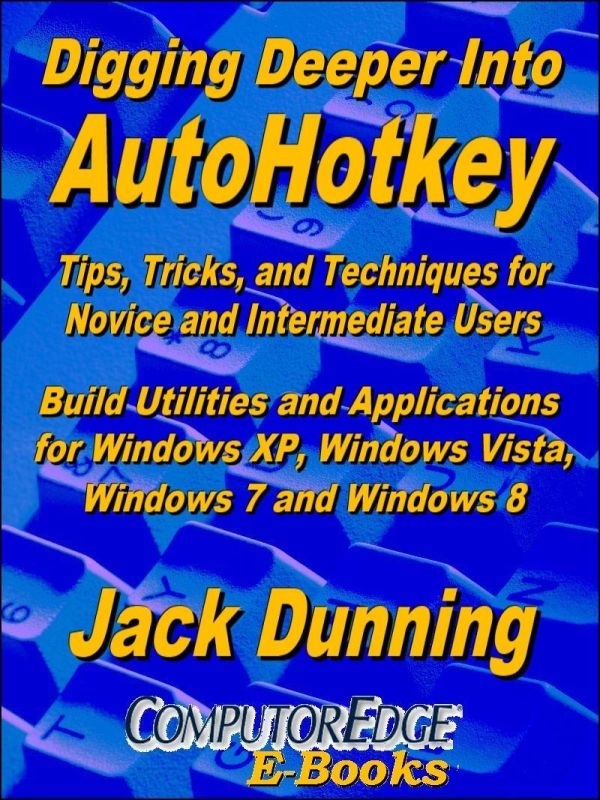 "Regular Expressions in AutoHotkey" will take you to the next level in AutoHotkey scripting while adding more flexibility and power to your Windows apps. 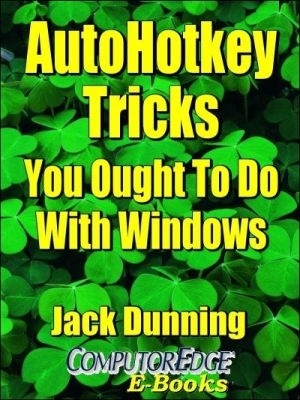 Don't Know Which E-Book Format is Best for You? Get all three at one special price! 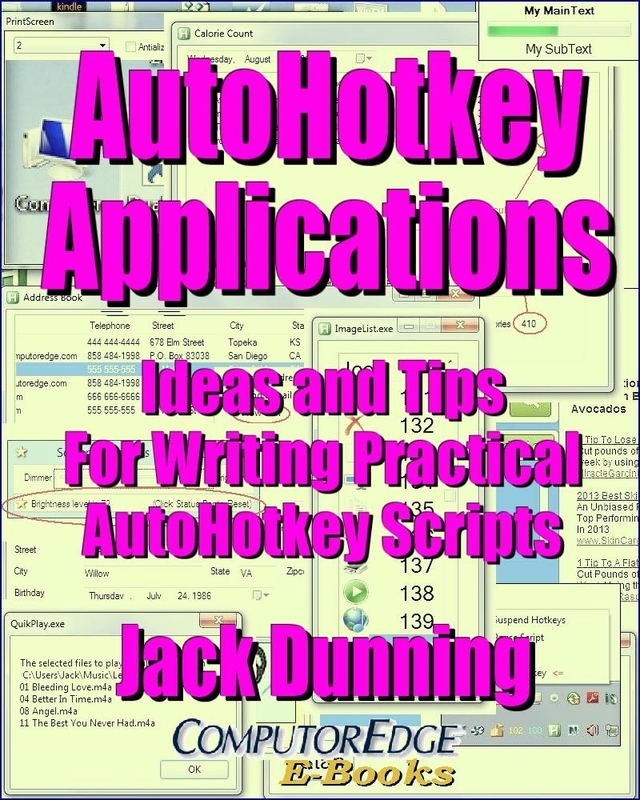 EPUB for iPad, Android and PCs, MOBI for Amazon Kindle and PDF format for printing or viewing on anything.